If you’re in a frenzy trying to get your kid to brush (and floss) their teeth before visiting our pediatric dentists in Reunion, you might want to think twice about what they’re eating. While we’re by no means trying to “backseat parent,” we are experienced dentists who know that certain foods have positive effects on our teeth, with the majority of foods resulting in a detrimental effect on our oral health. Of course, regularly brushing and flossing is a smart way to mitigate any of the damage that food can cause to our teeth, but what your kid’s teeth are subjected to in the first place is a logical place to start. Why are we so interested in your child’s dental health? Well, because that’s our specialty. Here at Treasured Teeth, Dr. Tippets and our team of pediatric dental specialists are out to provide the best possible dental experience for kids in Reunion and Thornton. Setting good dental habits and providing fun, friendly and expert dental experiences helps set the foundation for good oral care…for life! Baby teeth or freshly-grown-in adult teeth, parents in Colorado can trust Treasured Teeth as the go-to dental care provider for their kids. 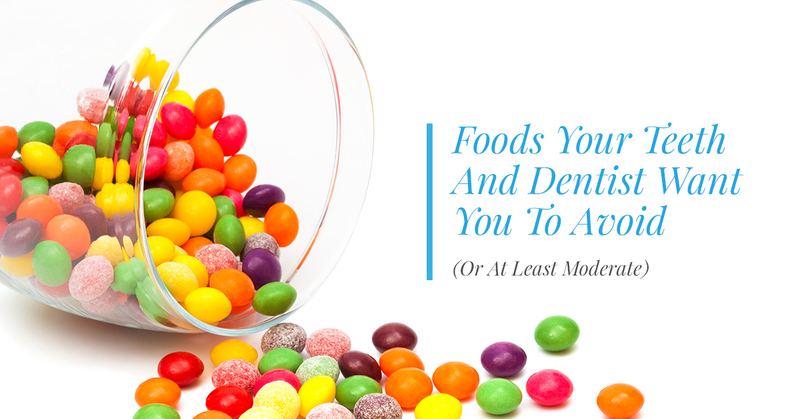 So, in the interest of safeguarding your child’s oral health and helping them develop a good understanding of what’s healthy and what’s not, we’re going to go over some foods that you and your children should consider avoiding, or at least strictly moderating. Questions about our pediatric dental services? From pediatric sedation dentistry to dental cleanings, crowns, composite filling, sealants and more, Treasured Teeth does it all — and we also accept Medicaid and CHP+, making payment even more convenient for you! Contact our Reunion or Thornton locations to get started. A magical and obligatory combination with movies and TV shows, who could possibly fathom giving up popcorn? Well, from the inexpensive microwave popcorn to the fanciest gourmet kernels possible, it’s no “Pop Secret” that popcorn isn’t all too great for your teeth. Indeed, countless people have visited the dentist in an emergency situation due to munching on half-popped popcorn kernels. The sneaky husk around the kernels also doesn’t do your teeth any favors, as it easily finds its way in between your teeth, causing gum pain. If you must get your kernely fix while you and your child watch something, make sure to eat carefully, avoiding any unpopped kernels. Also, make sure you and your kid(s) floss thoroughly and brush well after indulging! OK, so ice cubes aren’t exactly food (though dogs tend to think otherwise). We understand that ice is just a solid form of water, but that doesn’t mean that you should eat it, either. The fact of the matter is that ice is too hard for your tooth enamel, and if chewed straight out of the freezer, can result in stress fractures in your kid’s teeth. Not good! It’s also not unheard of for people chewing on ice to even break a piece of their tooth in the process. Considering the fact that children’s teeth aren’t fully developed and therefore are more sensitive than fully-grown adult teeth, tell your child to avoid chewing on ice. Our children’s dentists have actually touched on this matter before in a previous blog post, but it’s worth mentioning again — skip the highly acidic, overly sugary energy drinks and sports drinks! Consuming these drinks on a regular basis is like riding an express route to Cavity Town. We love being energetic and hyper just as much as the next kid or hard-working adult, but there are other, healthier alternatives to day-to-day energy than these corrosive beverages. Be Good to Your Kid’s Oral Health By Visiting Our Reunion Pediatric Dentists! 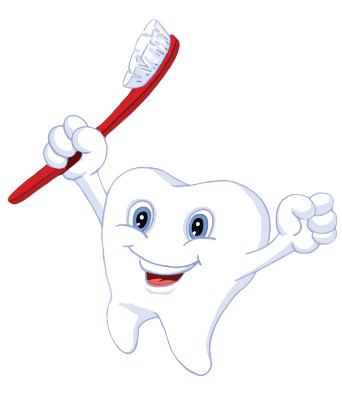 Quality dental health for your children starts by setting good examples as a parent. With a healthy diet and regularly flossing and brushing, your kid will experience nothing but pearly whites and thumbs up from our pediatric dentists in Reunion. Want to schedule an appointment with Treasured Teeth? Visit the link, or feel free to reach out to our Reunion or Thornton locations today!